Director Robert Barker spent a recent afternoon delivering a presentation to visiting Chinese officials at the request of the Town and Country Planning Association . 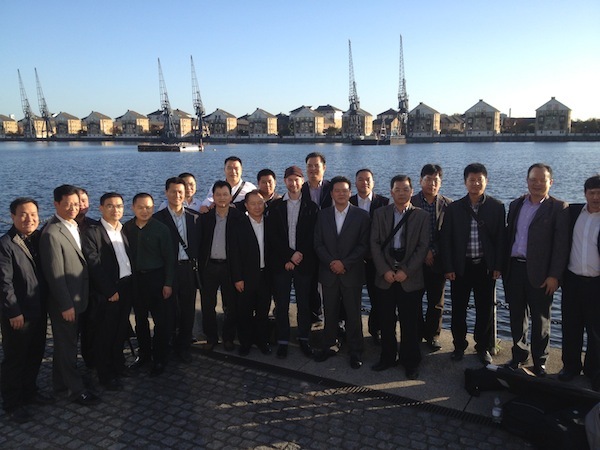 The twenty delegates from the Guangzhou local authorities, including the Vice-mayor of Ghuangzhou, who were in London to discuss riverside environment planning and protection. The TCPA invited Baca to share the Practice’s specialist expertise and experiences with the visitors, relating to planning and designing with water. Robert presented and discussed some of Baca’s high-profile research and projects, including the MIPIM award-winning Eiland Veur Lent, Holland’s most ambitious Room for the River Project; a proposal for the future of Shanghai, designed to work with water, from the Practice’s forthcoming book, Aquatecture , to be published by RIBA in the New Year; the ; and the award-winning LifE Project (Long Term Initiatives for Flood-risk Environments).